Pin important comments to the top of the thread. Allows for rich formatting and expression. 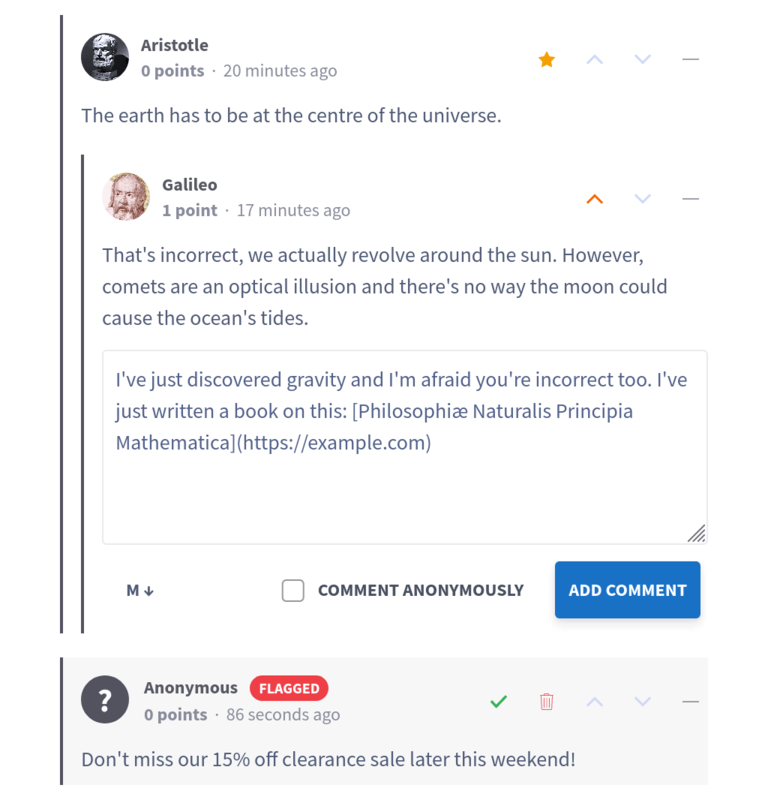 Upvote insightful comments and downvote ones that don't add to the discussion. Remove offtopic comments, shadow ban spammers and trolls, and enforce timeouts. With built-in spam detection, you and your readers have nothing to worry about. With nested comments, it is easy and intuitive to follow the discussion. Embed Commento in your website to foster discussion and improve engagement. With Commento's advanced moderation tools, automatic spam filtering, and Akismet integration, you and your readers will never see any spam. Get started with Commento. It's really easy, I promise. Commento is a proud recipient of the Mozilla Open Source Support award. The $19,200 grant was given in recognition of Commento's contributions to make the internet more privacy-friendly. Learn more.